Here are a few of my newest pieces done in graphite. 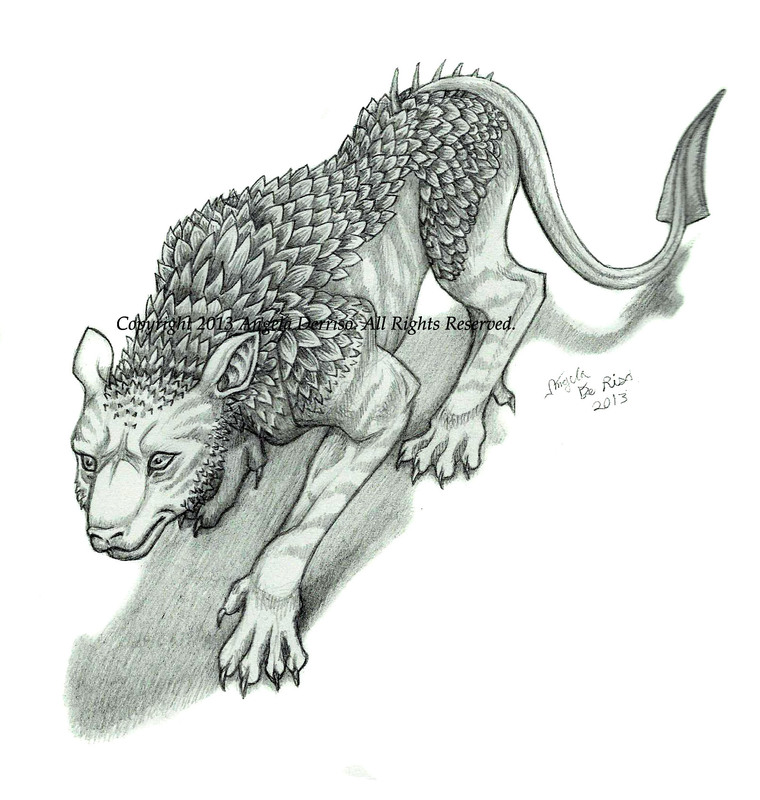 “Chimera” – More of a creature design thing. A combination of a tiger, dog, and a reptile. I love weird combinations of animals blended into one. “SongBird” – Tried something a little new here, using some different facial expressions. This piece portrays the free spirited nature of birds who sing their song so passionately. 9″ x 12″ Graphite on pastel paper. 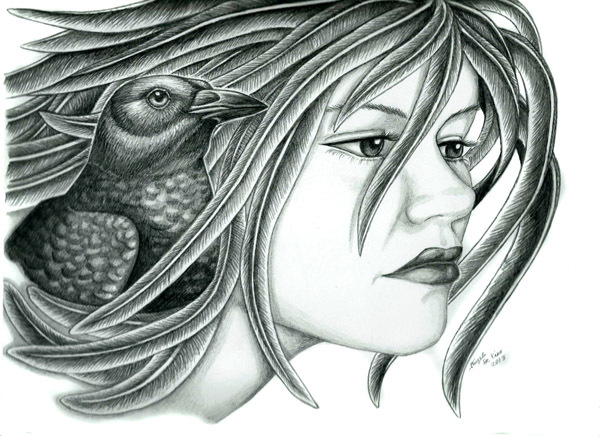 “Birds of a Feather” – Similar concept to the piece shown above, though this is a darker themed one. 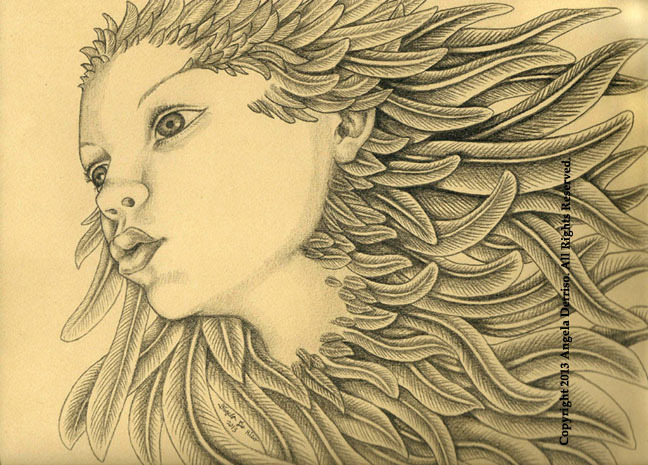 I decided to incorporate a bird or birds into the hair/feathers in this piece. The crow represents a very intelligent, cunning bird, and so is the familiar of an equally cunning bird spirit. 9″ x 12″ Graphite on bristol board.